I was greeted at the door by a member of staff who kindly directed me to where the other bloggers were and offered to take my coat. There was a choice of tea, coffee or bellinis. 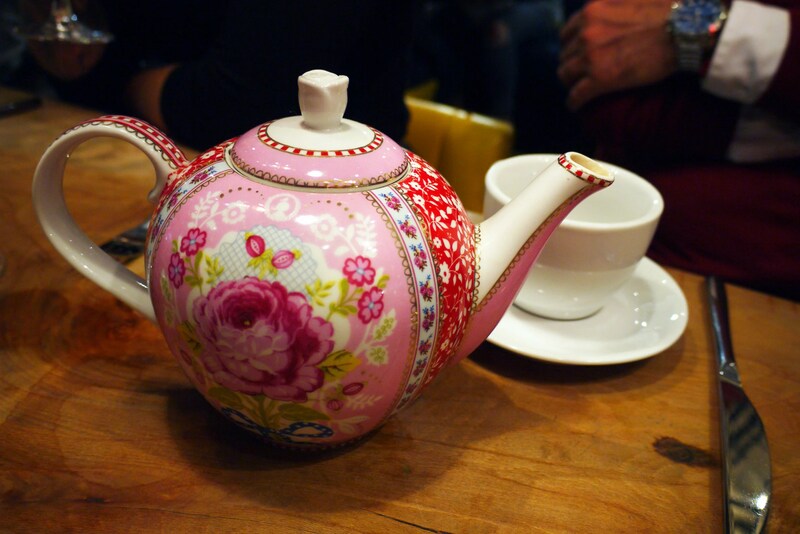 As I had not had anything to eat or drink prior, I went with the tea. 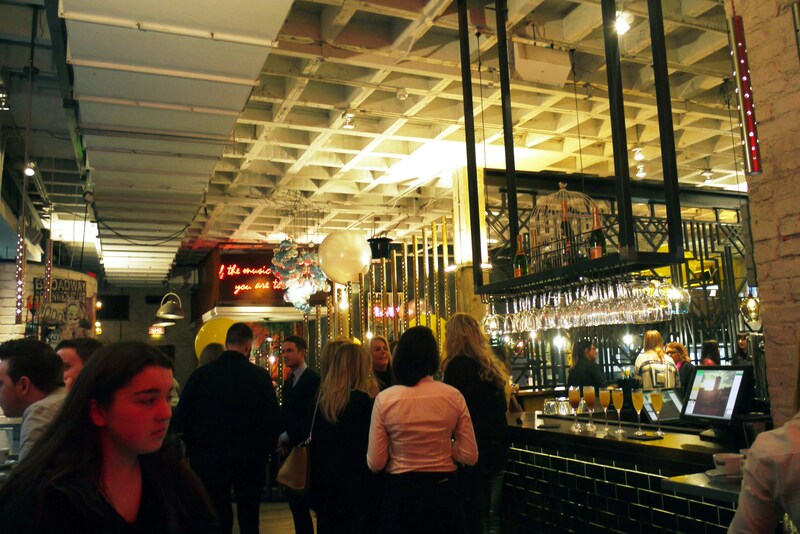 The inside of Neighbourhood is quite industrial mixed in with a diner-esque feel from the decorative tube lighting and leather like seats. Neighbourhood describes itself as a modern European and US-influenced Manhattan style eatery; I’m not sure how true this is but certain has an eclectic mix. 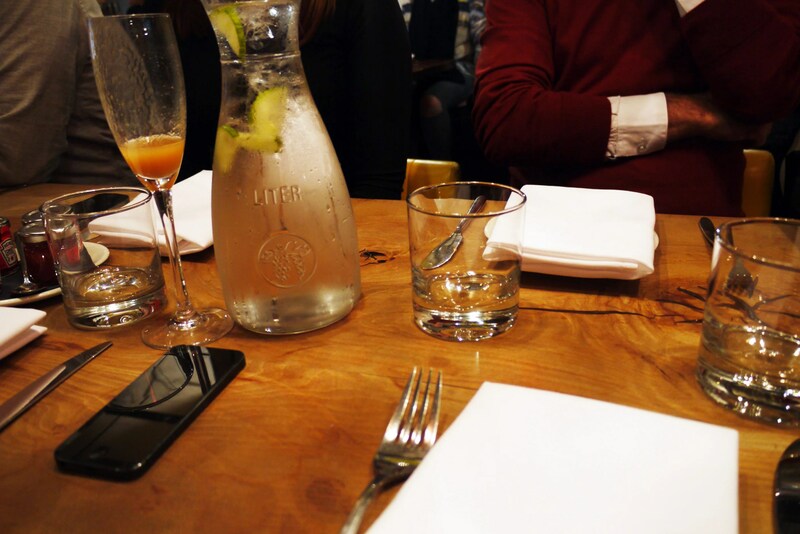 I was seated on a bar stool, which is not my usual choice given how short I am, but the seats were very comfortable and had a small backrest which meant I could sit quite comfortably for hours. We start with this dish, which I thought was odd as surely chocolate is more of a dessert thing and should be at the end of this brunch, right? Nevertheless, I proceeded to try some and I was surprised at how nice the chocolate sauce was. It’s not overly sweet making this a lot easier to eat. 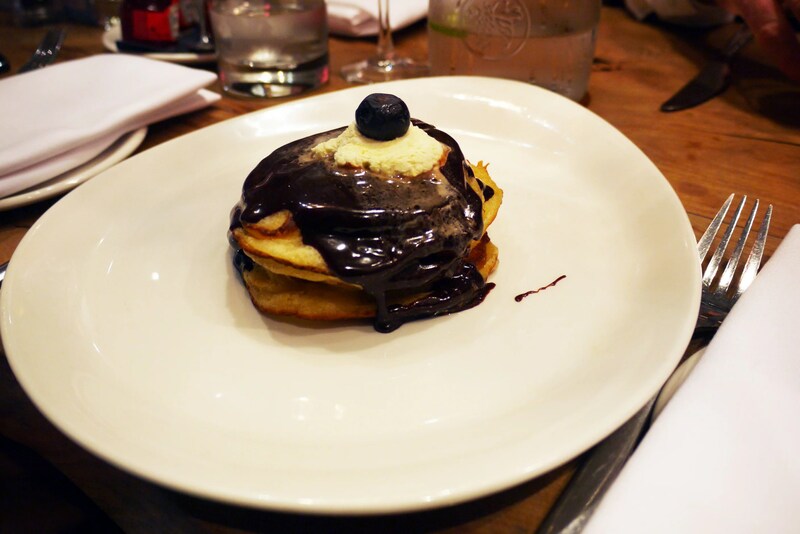 The pancakes were nice if a bit on the chewy side but overall the dish was pleasant. 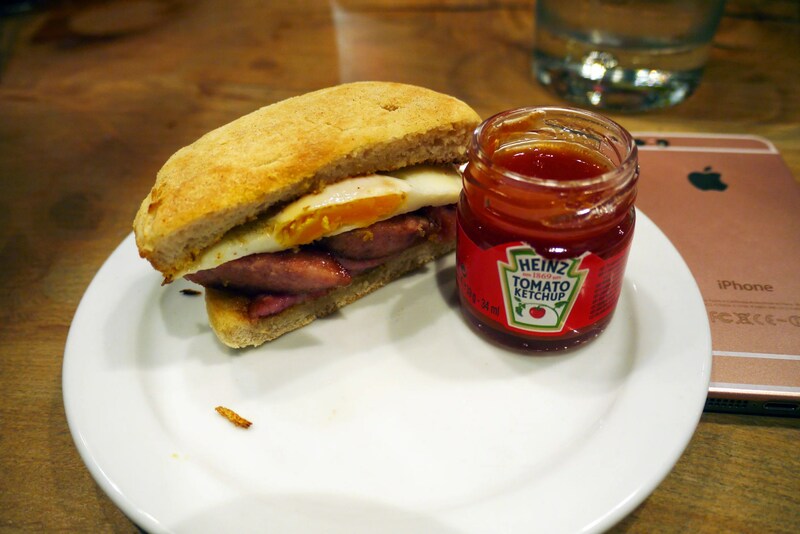 You can also get this with crispy bacon and maple syrup instead. The price for this was £7.50, which I felt was a lot for four pancakes. Normally the breakfast sandwich is served as one whole item, but at this event, we were given a half each. 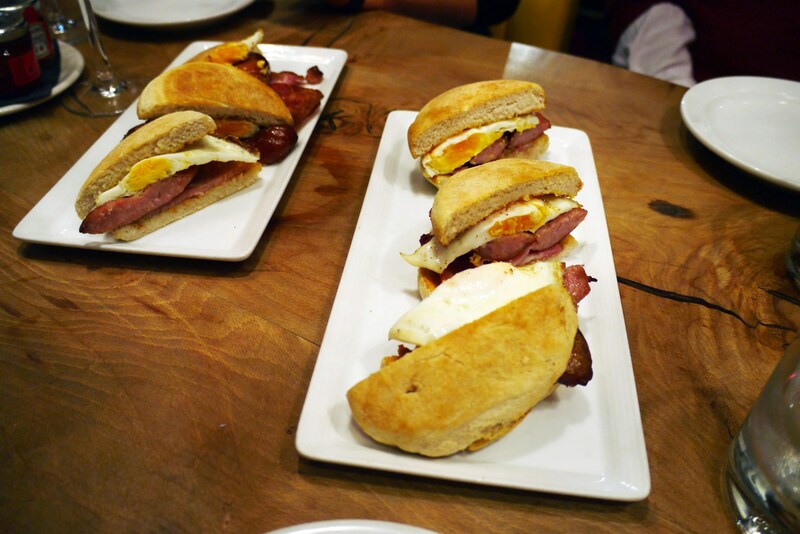 The sandwich comprised of a toasted muffin with good quality bacon, sausage and fried egg. Seriously, the sausage was that good, possibly the best part of this sandwich; it was lean and contained little fat. This was a decent £4.95. 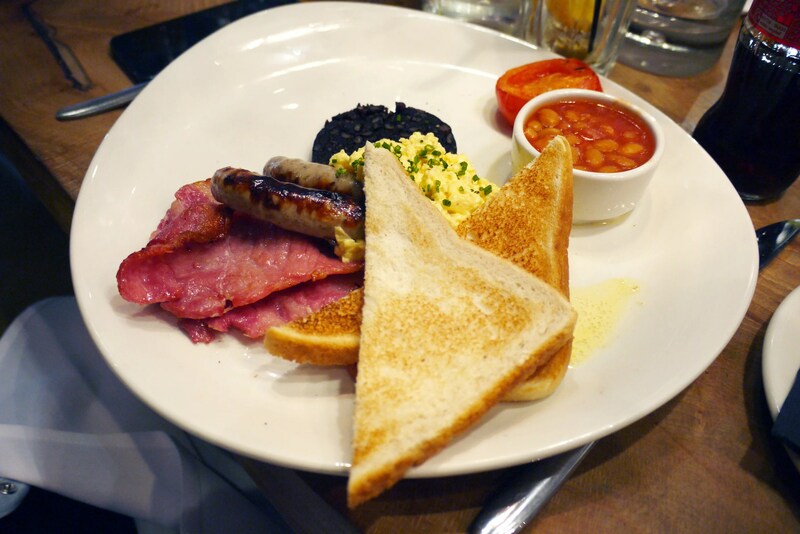 This dish comprised of a pork sausage, bacon, scrambled eggs, Bury black pudding, grilled tomato and Heinz beans. This differed slightly from the one advertised on the menu as there were no sauteed mushrooms on the dish, however, there was also no mention of beans on the menu so make of that what you will. The black pudding was proper Bury black pudding as stated on the menu and the sausages were good quality sausages. I notice some vegetarians ordered this dish and instead of the meat they got 2 buttermilk pancakes, some spinach and sauteed mushrooms. This was worth the £9.95. 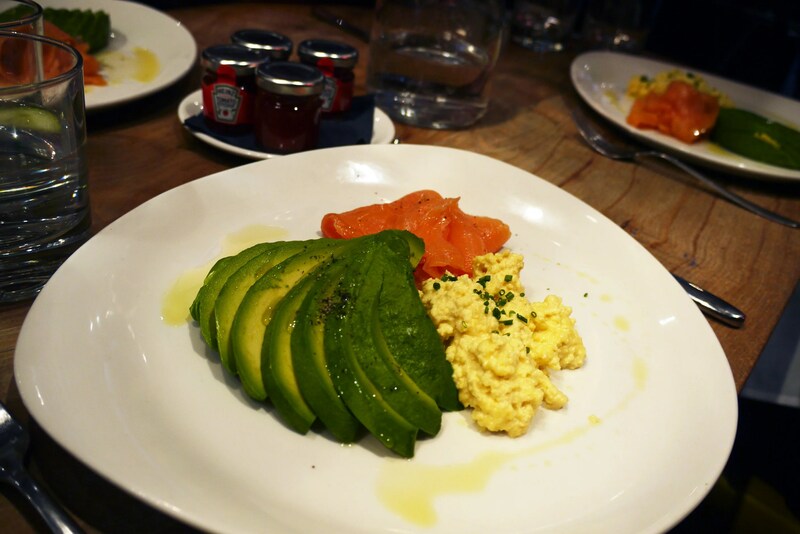 You get half of an avocado with this dish as well as plenty of salmon and scrambled eggs. However, I noticed that some of the later dishes came with 2 slices of toast. As I did not order this dish personally, my blogger friends informed me that this would have been beneficial to this dish to help counter the richness of the avocado and salmon. The salmon was of good quality and the avocado was the right amount of ripeness, so overall this gets a thumbs up. £7.95 with the toast is a decent price. 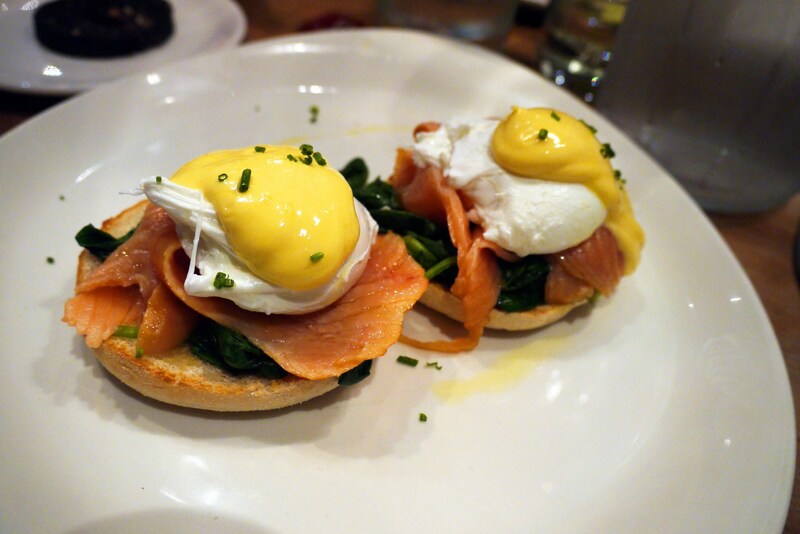 I personally ordered the Eggs Norwegian, which consists of a toasted muffin topped with spinach, smoked salmon, poached eggs and hollandaise sauce. The muffin was perfectly toasted and there was plenty of salmon and the right amount of spinach to compliment this. Eggs were perfectly poached too. The only slight negative was that I found the hollandaise sauce a tad too rich. Still, I was perfectly satisfied with my plate. This was also £7.95. 9/10 -1 for slightly inconsistent menu/food delivery. 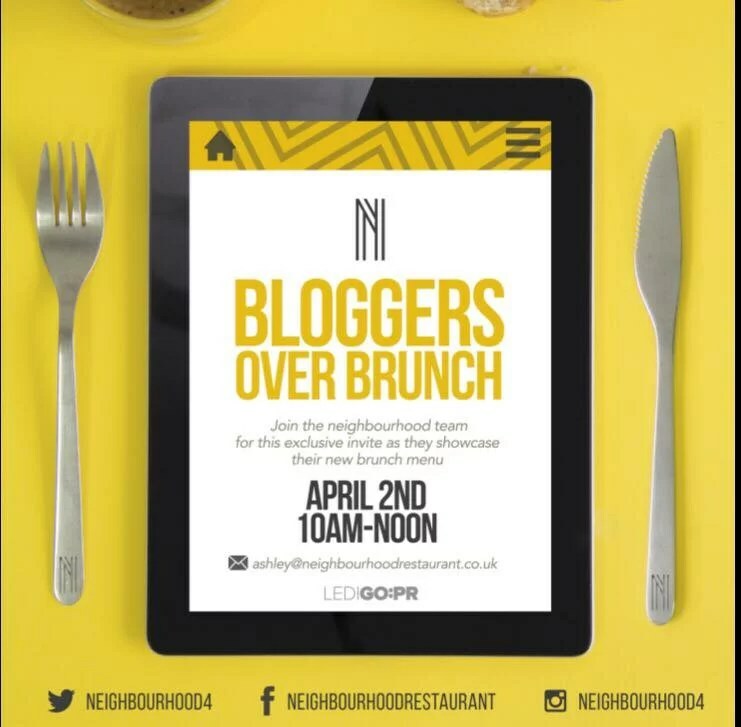 I’d like to reiterate that this experience is based on the Neighbourhood Bloggers over Brunch event and as such may differ from your experiences., or indeed, mine if I visit again. The staff were really friendly and approachable and the food was of a quality which matched the prices. The brunch available Saturday or Sunday 10am – 2pm. I would also like to give a shout out to three lovely people I met at this event. Why not check out their blogs? Andra Dorolti from Blog Andra Dorolti for female fashion, Oliver Long from Suede & Symphony for male fashion and David Keegan from DK Travel Pix for travel photos. Yes, I think I would for a really nice brunch. It’s certainly not your everyday affair but well worth it! I would also be keen to try their lunch and dinner menus too.